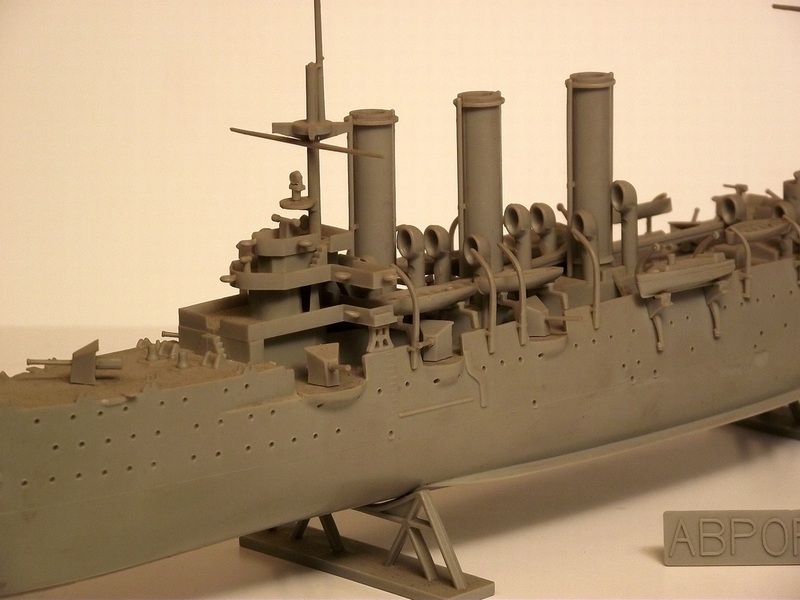 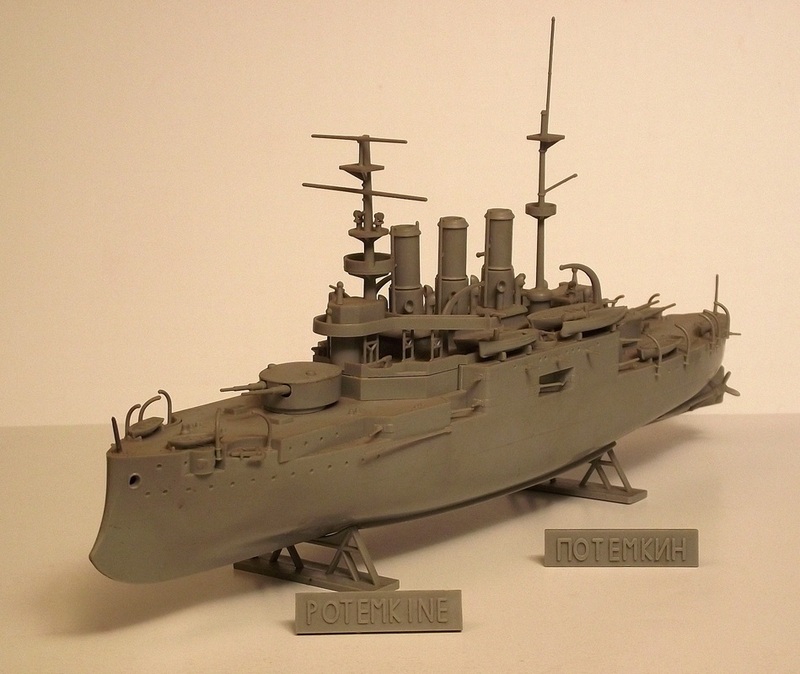 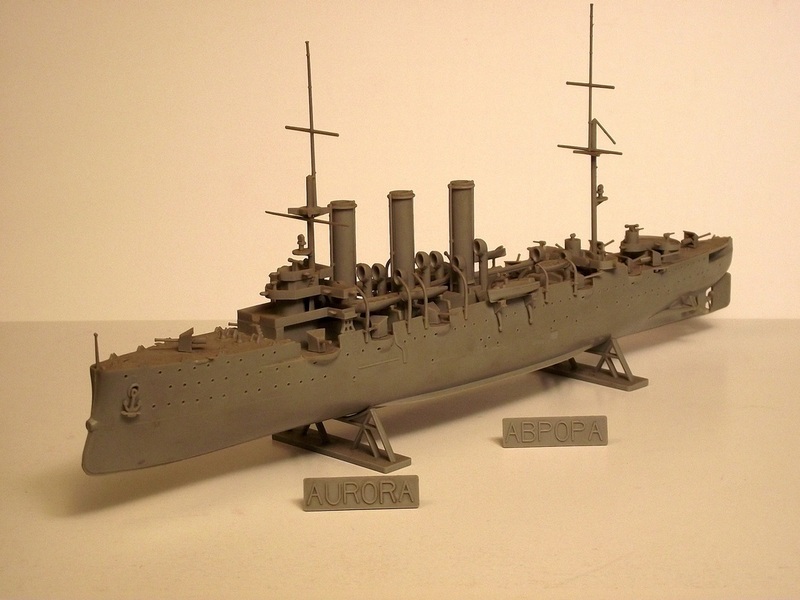 This is a 1:400 scale plastic model kit made in the former Soviet Union by a Moskow factory by the end of the 1970's as a replica of the Russian AURORA (ABPOPA) cruiser. 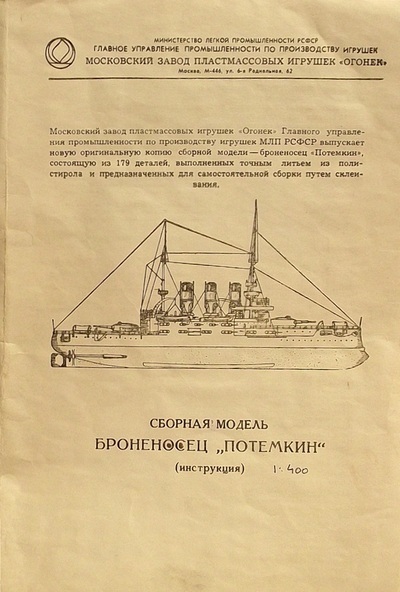 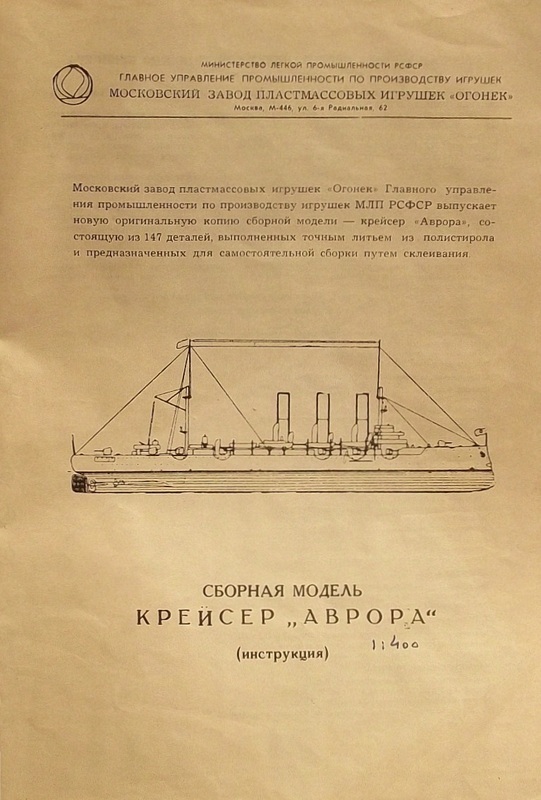 This ship was considered important in the former Soviet Union as in 1917 most of the crew joined the Bolsheviks and a blank shot from her forecastle gun signalled the start of the October Revolution. 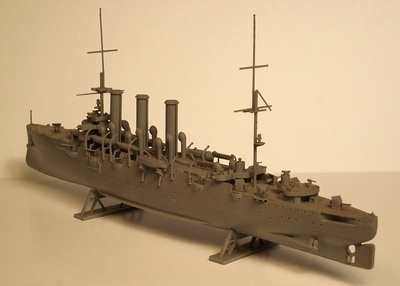 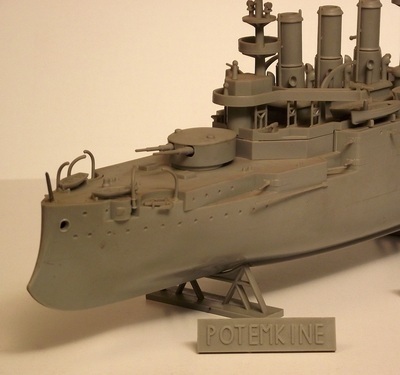 There were only basic instructions included on how to build the model and a glue, so the end result is a pretty basic replica of the ship in all grey plastic, but the details are relatively good. 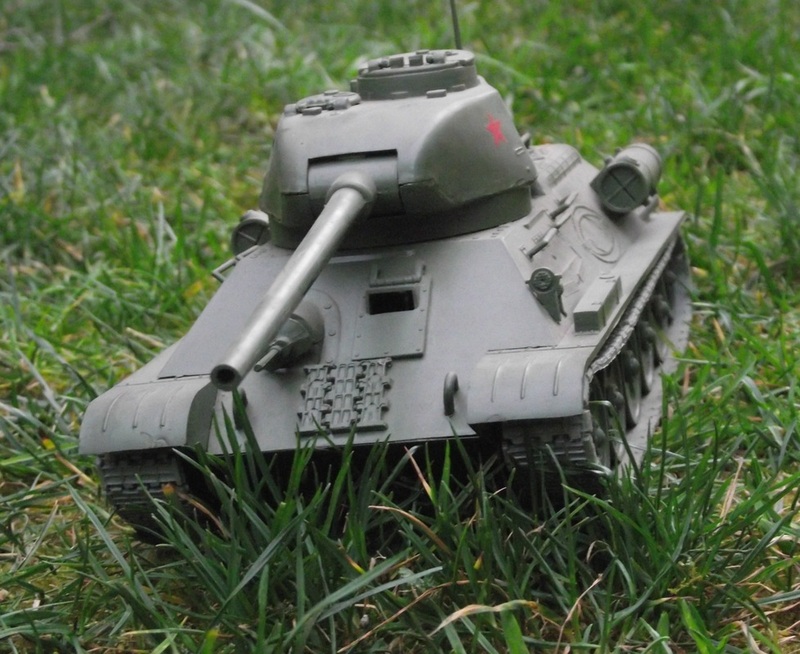 The most-produced tank of the of World War II, and the second most-produced tank of all time, this is the T-34. 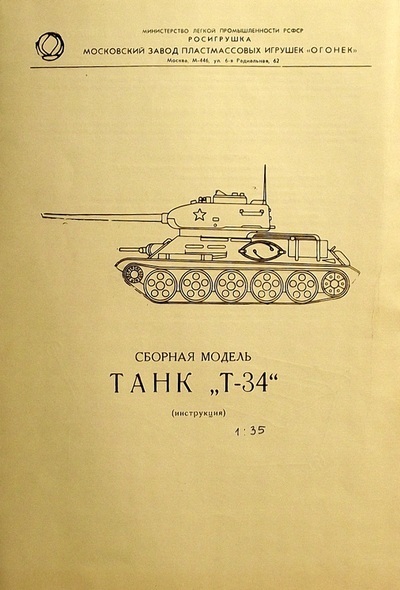 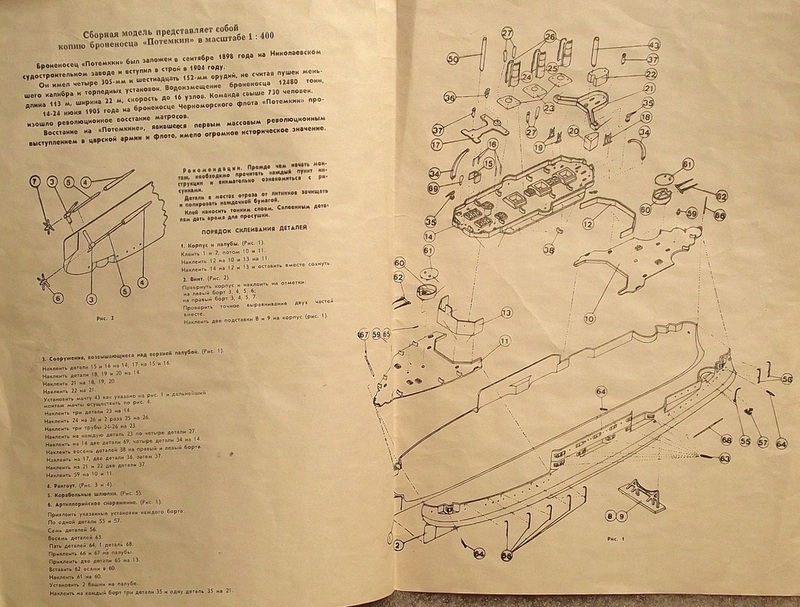 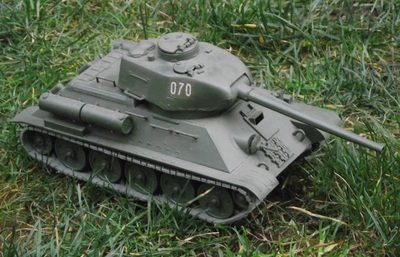 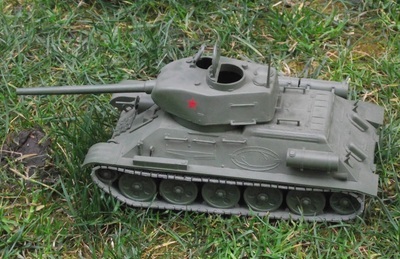 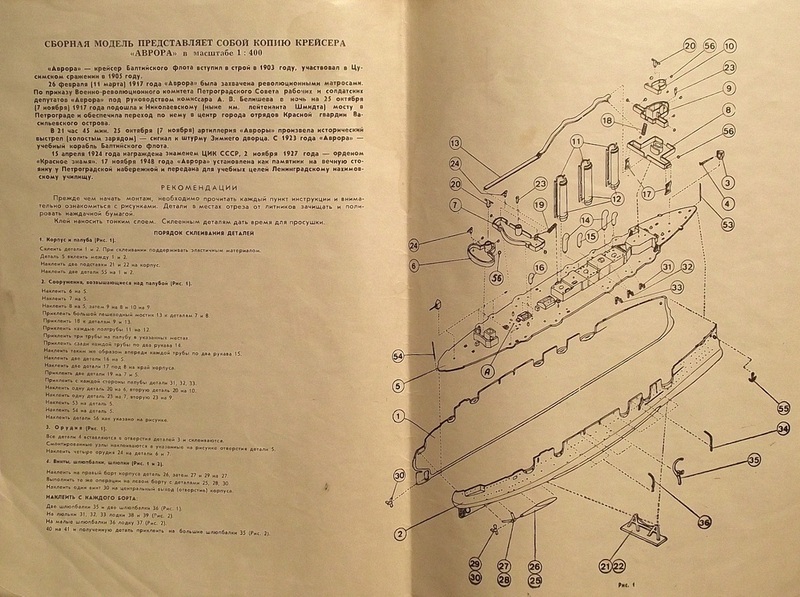 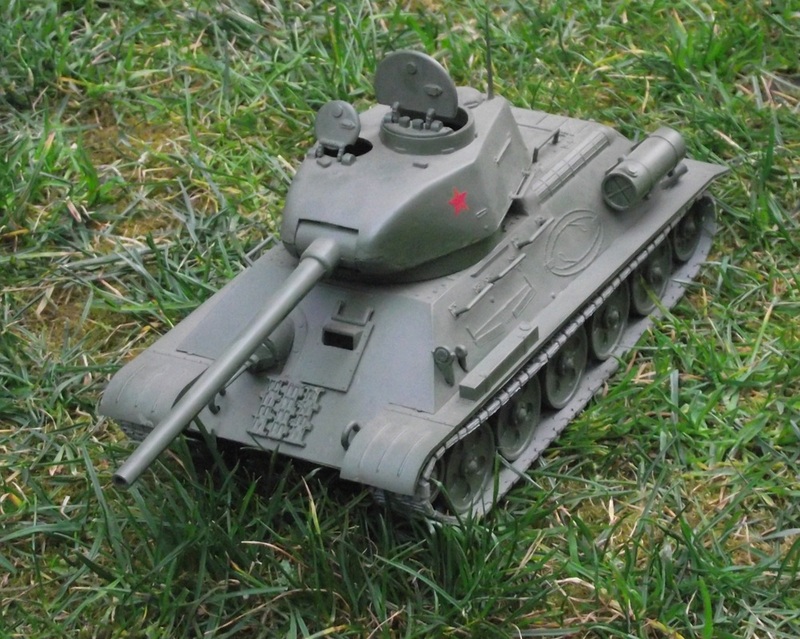 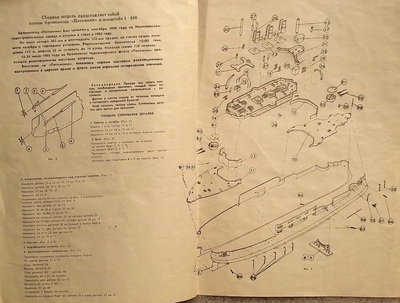 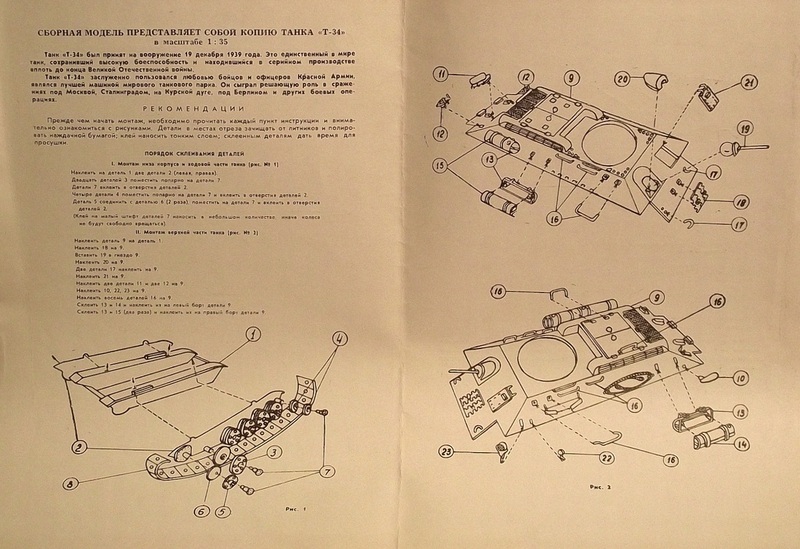 A plastic scale model kit of the famous T-34 russian tank made by the same company from Moskow who made the AURORA and POTEMKINE plastic replica ship models. 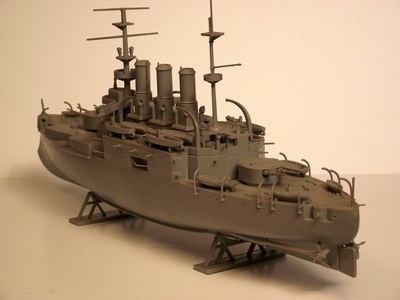 Also built during the 1970's but in contrast to the ship models these have more details, a better quality and more moving parts. 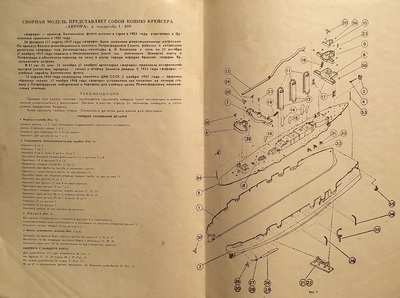 The wheels are turning allowing the continuous track to move. The turret rotates and the gun can also been moved.